An anguished heir. A desolate maid. And one cold corpse. Richard Lynche, heir of an 18th century Tipperary estate, can find no peace. His bookish ways disgust his bullying letch of a father. BUY BOOK HERE! His heartsick mother sinks ever-deeper into a drug-induced lethargy. The teen’s only solace are the loving arms of the homesick new maid, Eveleen. Meanwhile jealousy, lust, and oppression lead to gruesome visions, causing Richard to question his own sanity. Desperate to prevail over his demons, he determines there is only one way to stop the torture—a killing. 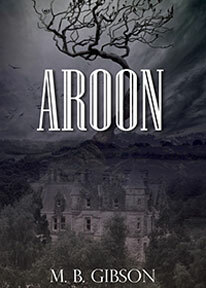 AROON, M. B. Gibson’s debut novel, has been awarded the Carrie McCray Literary Award for Novel First Chapter and was a finalist in the Pacific Northwest Writers Association Literary Contest for Historical Fiction. Her first chapter, printed in the anthology, The Petigru Review, was nominated for a Pushcart Prize. 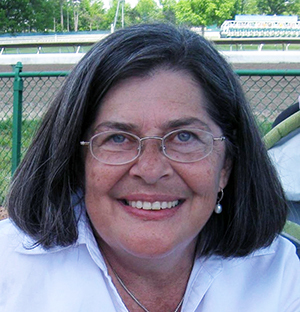 Gibson dedicated over three decades to teaching adolescents everything from literature to mathematics to conflict resolution. She passionately believes in the value and dignity of every human being, which she’s carried from her classroom to the pages of her books. After raising three headstrong daughters, she lives the quiet life with her husband in rural South Carolina. AROON is available on Amazon.com and Kindle. The link is http://amzn.to/2aSMs3G. "I felt like this was something from the annals of history, and it made me love it all the more." "The characters were believable and intriguing, and it was easy to imagine myself there with them." "What an incredible book! I actually could not put it down and read straight through in one day!"